Is Key’s Super Fund Idea So Super? Gordon Campbell on the National Party’s sudden transformation into New Zealand First, and today’s McCain/Obama debate. Intervention used to be such a dirty word on the centre right. 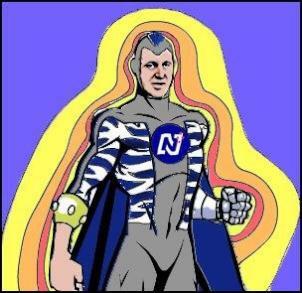 Now, the National Party aims to legislate to make the guardians of the Super Fund invest 40% of their funds within New Zealand. There’s a pattern emerging here : raid the Kiwisaver savings scheme, intervene in the Super Fund earmarked for the needs of our ageing population, scrap the Fast Forward science fund, abolish the tax credit for research and development, dump the home insulation fund meant to offset the energy costs of dealing with climate change…. What do all these moves have in common ? They all involve a drive for short term advantage, and denial about the need to plan for longer run challenges facing the country. Savings, research, demographic change. All are being jettisoned in the name of instant gratification. If I can steal a line from the conservative columnist David Brooks, John Key shows every sign of having the policy libido of a 15 year old boy. The reason why the Super Fund has most of its investment stake overseas is that – in the longer term – the existing balance of offshore/onshore placements stands to make the most money for its prime purpose. Which is : helping us to prepare for the costs of caring for our ageing population. The Fund guardians, so long as they operate within their ethical investment guidelines ( and, as the Greens have shown, they have not always done so ) are free to make the call on where that money is best invested for the Fund’s prime purpose. Key now wants to intervene in those market decisions and force the Fund – our money – into a New Zealand stock market where it will be likely, for an unknown period of time, to earn less of a return. How much will be lost in the process ? What will be the opportunity cost ? We, and John Key, don’t have the foggiest. idea. Because this policy has been launched without any information ( much less research) on the likely costs of making it mandatory to allocate a fixed share of the Fund’s portfolio inside New Zealand. Maybe that’s how they used to do in Merrill Lynch. Shoot from the hip, ride your instincts and trust you’ll be somewhere else if and when things go sour. Before the Greens cheered this proposal, they might have considered whether – once you open this door – just what the cost may be, and where the 40 % is likely to go. The Fund guardians will – allegedly – be left free to decide where in New Zealand they put the money. The NZSX is small, and the Fund guardians are highly unlikely to become creative venture capitalists of fledgling enterprises overnight. Arguably, nor should they be. Moreover, the Fund moneys would quite conceivably be going into the kind of local investments that the Greens would abhor. Key for instance, has already signalled his interest in PPPs for prison construction and roading, and in the provision of faster broadband. In that respect, Key’s proposal enhances the prospect of more Waterview Connection style projects being built. The intervention is also be likely to be used to shore up Telecom’s market dominance, just when it looked as if the company was finally going to be required to respond to market forces. In essence, Key has just demonstrated why he doesn’t need Winston Peters in his government – because Key is adopting the same kind of ditzy populism over the Super Fund that you’d expect to see emanating from New Zealand First. We live in strange times. The final presidential debate today is in the “ chat’ format, with both candidates out from behind the lectern and seated at the same table, with moderator Bob Schieffer. Obama is ahead. Anyone hoping for an Obama landslide on November 4 should however keep in mind that Obama’s current poll numbers are probably as good as it may get. Bill Clinton’s trouncing of Bob Dole in 1996 and Bush Senior’s rout of Michael Dukakis in 1988 were by only about 8 point margins. Obama is at that point ( or beyond ) in most national polls already. McCain will raise Ayers in that awkward, semi-comic manner of his, as if he’s not really sure it’s something he wants to be bringing up…. The real-time viewer response needles will nosedive, as they have almost every time McCain has attacked in the debates so far. Obama will very reasonably respond that it’s a distant association, that he was 8 years old when Ayers committed his crimes, that he deplores said crimes, etc., etc. Then he’ll turn it around on McCain, pointing out that it is all very old news, and the McCain campaign didn’t think it was worth discussing until it found itself in a deep electoral hole. He’ll accuse McCain of trying to “change the subject” and will cite the top McCain strategist who idiotically told the Daily News, “If we keep talking about the economic crisis we’ll lose.” Anyone who thinks such an exchange is a win for McCain should contact me immediately, as I have a lucrative opportunity in the housing market I’d like to discuss with you. The surge in Iraq is also likely to be brought up. McCain, as part of his alleged greater foreign policy expertise, will claim that he supported the US military surge in Iraq, while Obama didn’t – and so Obama should now confess to being wrong. In McCain’s world, the US has won victory in Iraq, and should now press on with the same methods to victory in Afghanistan as well. By puncturing the premises of that fantasy, Obama risks looking unpatriotic, and unsupportive of the US troops in the field. First, some background. McCain tends to combine the results of the surge that began in February 2007 with the success of the Awakening Councils – these were local Sunni chieftains recruited by the US, initially to fight against al-Qaeda, and especially in Anbar province. In fact, the Anbar process had begun six months beforehand. Though assisted by the surge, the Awakening Councils predated it. Yes, US deaths are down from the highs of 2006 and 2007 – and to lesser extent, Iraqi deaths are also down this year. Especially when compared to the explosion of sectarian warfare that followed the bombing of the sacred Askariya shrine in February 2006. The relative decline in violence from those levels is partly explained by the fact that the sectarian war in Baghdad has been won – by the Shia militias, who have ethnically cleansed Sunni neighbourhoods and either killed or sent their former neighbours into exile, thus creating major problems for the future. As for the Awakening Councils – one of the badges of success for the surge – the jury is still out on whether they will be successfully absorbed into Iraqi society, or will simply rejoin the insurgency. So far the Shia Maliki government has been slow to obstructive in integrating the Awakening Councils back into the new society – they’re Sunni forces after all. As a result, the peace is fragile and vulnerable, as even McCain’s hero, General David Petraeus has conceded. In signs of sectarian fragmentation, Christians are currently being persecuted and ethnically cleansed from Mosul. The format for the Iraqi provincial elections – already postponed from October to late December – is also still in flux. So victory in the sense of any lasting military or political stability – is still highly uncertain within Iraq. It is hardly in a shape robust enough to export to Afghanistan. Obama’s best reply on this point in the debate , then ? He probably has to be to concede that the surge has been far more successful than anyone anticipated, but that those gains on the ground remain highly vulnerable – and can only be consolidated by the sort of regional and international co-operation that the Bush administration ( and McCain) have shunned, and thought it could do without. Most importantly, Obama can and should argue that those gains made in blood can only be consolidated if the US, in consultation with the Iraqi government, sets a firm timetable for a complete US withdrawal from Iraq. Because that is the only decision the White House can make that will put the necessary pressure on Iraqi politicians to reach out across the sectarian divides. Currently, McCain wants to declare victory in Iraq – and make Obama sign up to his delusion. In fact, the US has only succeeded in creating a shaky regime that is dominated firstly by Shia politicians and fighters that are dependent on Iran – and secondly by a Kurdish faction that has all but seceded from Iraq. So long as the US stays in Iraq, these political factions will continue to use the spectre of the US occupation to keep the country divided against itself. Currently, the only candidate talking about a US withdrawal in the near future is Barack Obama – and even he, unfortunately, is still talking about trying to retain a US garrison presence. Its Catch 22, really – the only real way to declare victory is to leave now, totally.